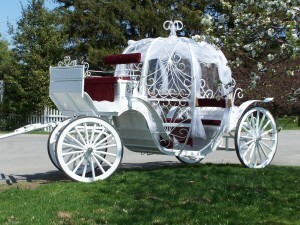 Gorgeous Cinderella carriage seats 6 people comfortably. 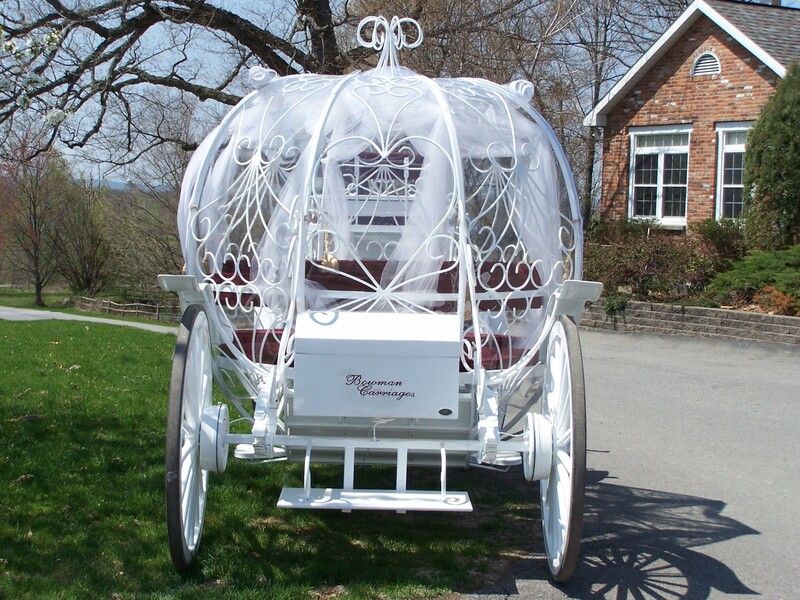 Make all your dreams come true with this unique fairytale carriage. 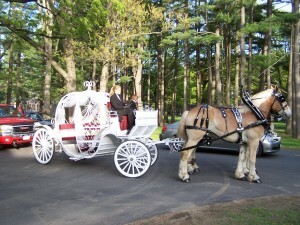 With the burgundy interior and chrome detail you will arrive at your special event in true elegance. 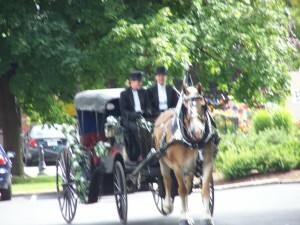 The professional driver and footman ensure you arrive at your event like royalty. 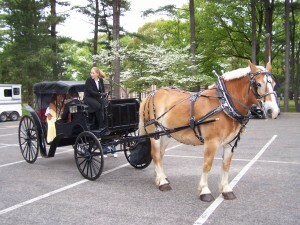 Your guests won’t be able to stop talking about the unique way you arrived to your wedding or special event. 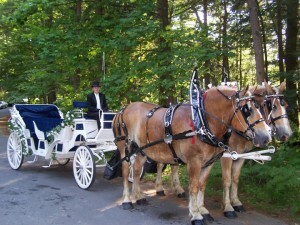 Other Special Occasions: Call Today for Pricing and Availability! 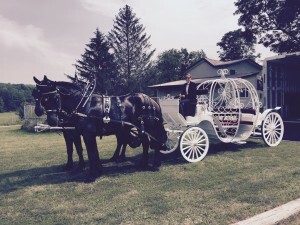 The most commonly used carriage for weddings this beautiful limo vis-à-vis seats 6 people comfortably, not only can the bride and groom go for a romantic ride but the bridal party can enjoy it too. 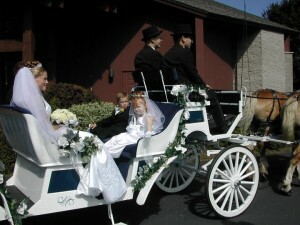 Carriage is white with blue interior and decorative flowers. 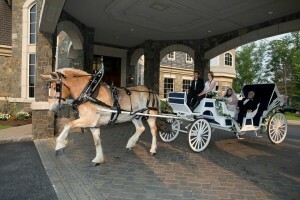 Arrive at your special event in style and class. ~Note~ Top can come all the way up to protect from falling rain, snow, ice, leaves, etc. 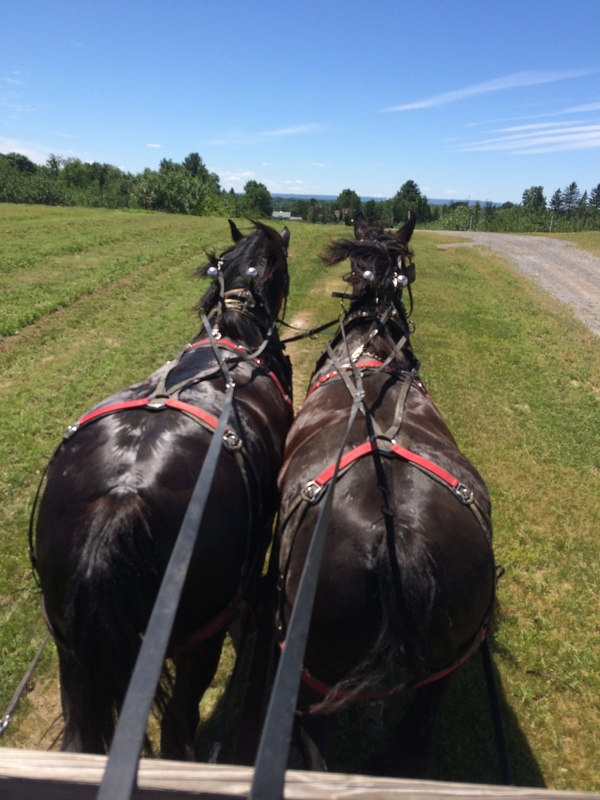 See Black Vis-A-Vis below for example! NOTE: Package prices DO NOT include trucking fee. Beautiful Victorian vis-à-vis seats 4 people comfortably. 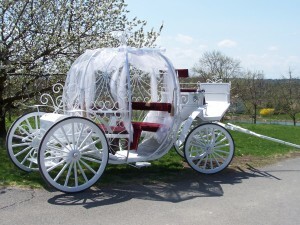 This beautiful all around carriage can be used for all special occasions, birthday parties, anniversaries, engagements, proms, or just a romantic stroll. 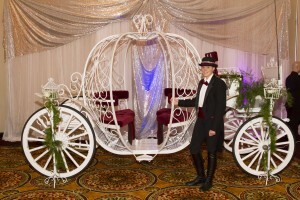 Make your event extra special with this beautiful old fashion carriage. 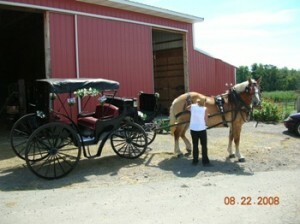 ~Note~ Top can be put down for a more open appearance as you see above with white limo! Take your pick of either our white limo carriage, the black Visa-Vis Carriage, or our New People Mover wagon. 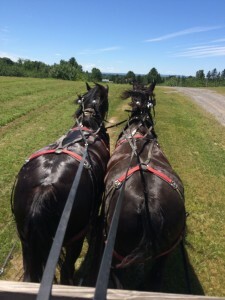 Including either a tour around our Apple Orchard (optional apple picking during the season), or the option to take a trip around the country roads surrounding the farm property. 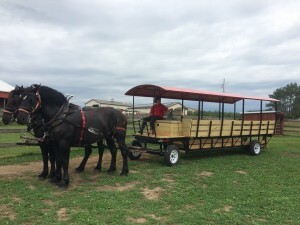 Beautiful farm wagon can be used to transport your guests on a nice ride through town or bring your bridal party to the reception. 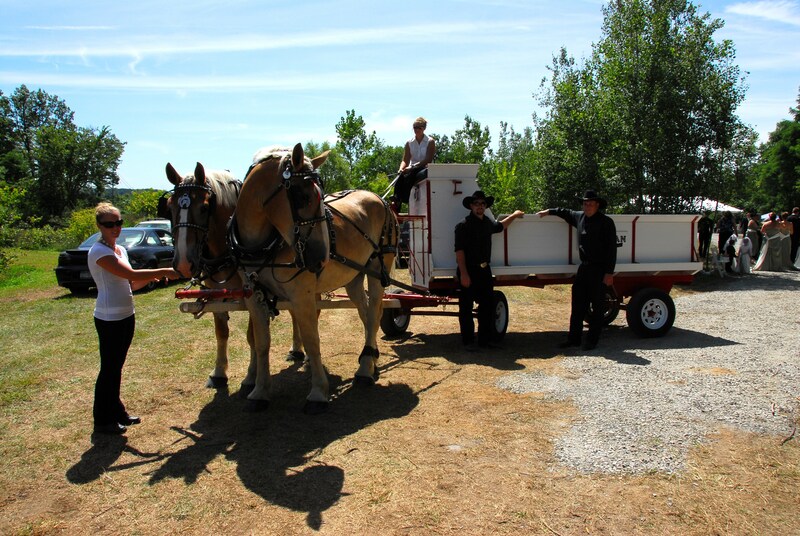 This wagon is great for corporate events or any other events. 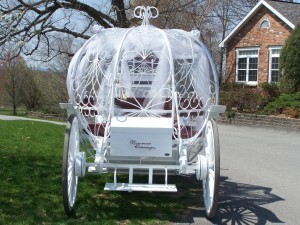 Wagon seats up to 8 people. 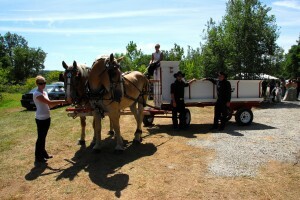 This Brand, New Custom Built wagon can seat up to 20 people, and can be used for all occasions. 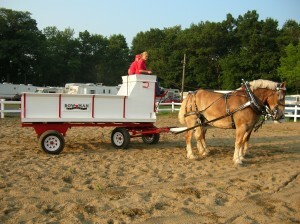 Great for festivals, holiday parties, hay rides, or any occasion. 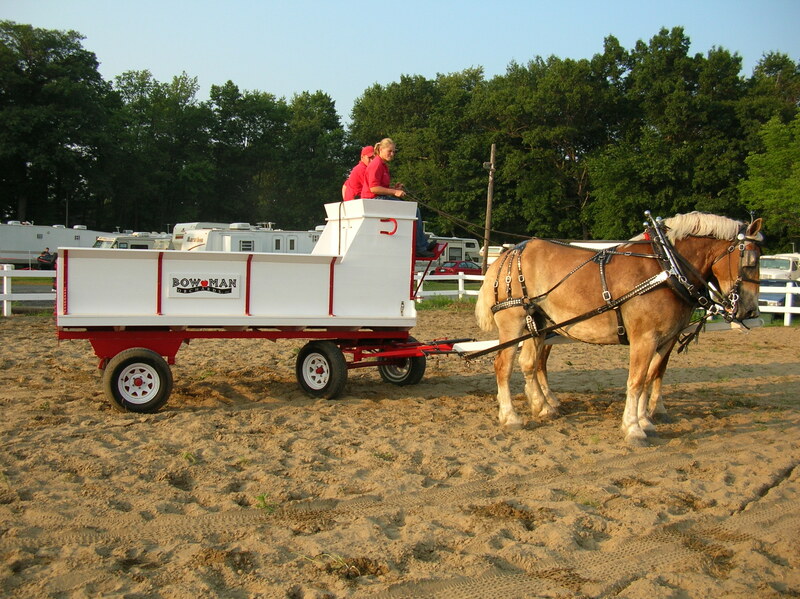 This wagon has an easy access step, as well as a handicapped accessible ramp so anyone can enjoy a ride. 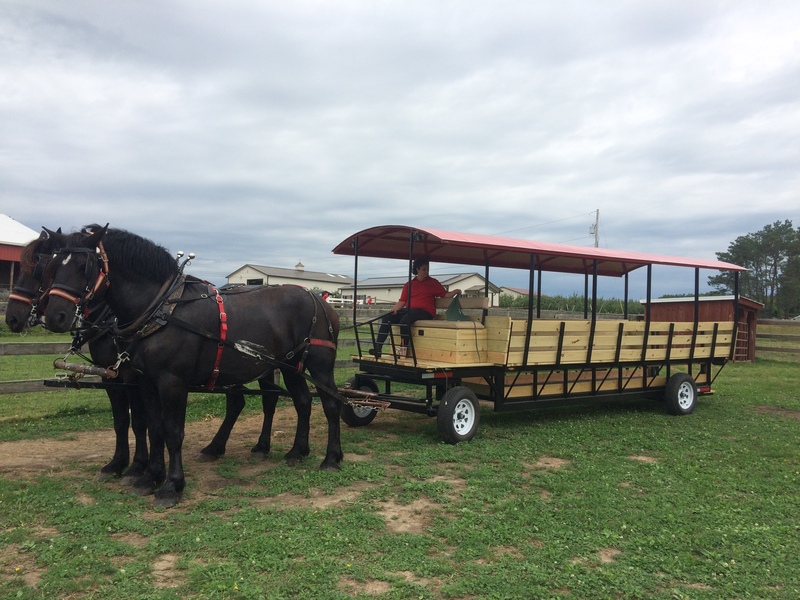 Wagon has bench seating around sides and in the front, as well as a roof for protection from direct sunlight, rain, or snow! All Travel & Trucking fees included within a 25 mile radius! 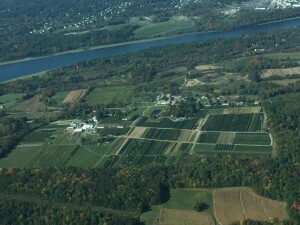 (Regular rate per mile thereafter). Special/Personalized Packages can be arranged!